I had never felt normal in my entire life until I started TMS treatment. My mind is finally unshackled from depression. By the second week I could see an immense change. TMS along with the Mindfulness Meditation program has helped me turn my life around and I am now beginning to move forward, and I never thought I could! After years in the darkness of depression, I now feel the light in less than three months! It feels like the heavy burden has been lifted. I can not say enough about the entire team Costello team – their patience, connection and care for me was outstanding! They get my highest praise! TMS therapy provided me with a number of coping skills to help with depression. It gave me the confidence I needed to battle my ruminations. The TMS technician provided me with support each step of the way and gave me information on what to expect during treatment. TMS therapy is a valuable tool to have to deal with depression. It took me out of the darkness to the the light. Life changing six weeks! If you’re ready to live a daily vacation, free from stress and anxiety, I highly recommend this path. If you are ready to take charge of your life through the retraining of your thoughts and develop methods to handle most anything or anyone life throws your way, MAKE TIME, TMS IS AN ABSOLUTE MUST! Don’t walk…RUN! I appreciate the combination of the TMS treatment format with watching educational videos and listening to helpful books that provided a lot of unique tools which I believe help with depression, as well as, and maybe more importantly, keeping or sustaining one’s mental health. The technician does a good job of relating to you and talking through your situation and helping you learn to apply what you have learn into practical aspects of your life. I found the treatment to be literally enlightening!!! Since I started TMS at DFWTMStherapy.com, for the first time in my life things that seemed like empty platitudes, like learning to forgive those people who have wounded you, like learning to slow down and stay in the present moment, have begun to make sense to me. The cognitive programs I discovered at this clinic helped me realize that even though I didn’t realize I was moving slower than normal, the depression was causing me to move slower, and I was able to work through all of that and am now in full remission from my depression! I am now able to recover and bounce back from negative encounters and negative emotions, both internal and external much more quickly! The TMS treatment enabled me to discover other things in my life that needed to be addressed and there is continued support at the Clinic to address these issues as well! The multidisciplinary approach held in this clinic is awesome! As in any rehab process you’ll get out of it what you put into it! TMS has been a rewarding journey for me. I started as a bit of a skeptic and I leave a man who has changed for the better. I am thankful to the entire staff for their dedication, encouragement, and their patience with me through this process. I had never heard of TMS prior to visiting with the folks at DFWTMStherapy and I wish I had, because if had known that I could feel this good earlier in my life, I certainly would have started and completed TMS much sooner than I did. I had been exposed to meditation practice before, but it didn’t work for me because I was depressed and therefore I wasn’t able to sustain consistent practice. The time I spent in the TMS chair, learning breathing exercises and meditation components which are taught congruently while in treatment, started to make me feel better and when I got to feeling better, I just wanted to cor1tinue to feel even better! The tools I was exposed to and choose to incorporate into my life, allow me to look at something differently, realign my focus, and assisting me in generating an appropriate response to the situation. When someone or something upsets me, I can ask myself. “ls this true?” I can now breathe through a situation that previously would have upset me, and now an able to come back to that situation, and look at it and respond differently. Weeks of being down, tried soo many medications which didn’t work for me, my drinking increased and the combination of alcohol and meds wasn’t working for me. What I was looking for alcohol and mediation to do for me, the combination of TMS and mediation are currently accomplishing for me!! After TMS my meditation is able to provide me with the focus and ability to see life through completely different eyes. TMS is an amazing treatment and has an additional tremendous impact when you take the tools out into your life. You can’t expect TMS to fix you and then go and think the way you used to think and be able to avoid depression. Learning to think differently has been a large part of my success!! How do I feel about TMS therapy? After years of living with depression, I finally decided to take control of my life. In an effort to do this, I sought out new psychiatric help. Dr. Costello suggested that I would be a good candidate for TMS and gave me information which I researched further at home. I decided to try the TMS hoping it would relieve some of the depression that I had been feeling. TMS, along with the CBT utilized during the TMS treatment times, has brought about huge improvement in my mood. I am now back to creating my art and exploring new business opportunities! I have stronger relationships with my family members and derive more pleasure from everyday life! The breathing exercises I learned at DFWTMStherapy have taught me how to regain control of anxiety and negative thinking!! Dr. Costello’s staff from the people at the front desk, to Suzanne, my TMS tech, Trish, my therapist and all the people in the back office are so loving, they all made me feel like part of the DFWTMStherapy family! I have dealt with depression all of my life and then a situation occurred that brought me to the lowest point that I have ever been in my life. Finding DFWTMStherapy.com has been a life changer for me! Learning about TMS and what the potential could be, gave me hope for true change where there was none before! For me, the thought of my depression going into remission was something I had never dreamed possible. I really wondered it if would work for me, REMISSSION from the depression was something that I thought other people might get to experience but I never would! Making the decision to start TMS gave me hope! Learning how to think about and handle life situations, during the TMS sessions, truly became a game changer! Becoming mindful and living in the now is part of the new me! I am now much better at letting my thoughts float by like a cloud instead of becoming involved in the storm that my thoughts lead me through before. Give TMS a chance to change your life, like it did mine! Over decades of serve clinical depression, I have tried everything I could find. Not until TMS and the cogitative behavioral therapy taught here, did I find such a profound and complete remission of my symptoms. The technicians are blessed and amazing. I encourage you to grab hold of this life line! TMS was worth the time and I feel motivated to do things that I have put off in the past like going to the gym and going back to school to continue my education. I don’t feel the heaviness of depression and thoughts of suicide anymore. I am more optimistic than I was in the beginning. Over all TMS was a good experience and I would recommend it to anyone who has tried different medications that did work. The staff was great and the mindfulness tools and viewing the TED talks have been very beneficial to me. Whenever I do feel down, I am able to bounce back quicker than before. My tech, Lorna, has been great and very helpful throughout my TMS journey! I would encourage you to come and receive your TMS treatment here at DFWTMS.com ! The wonderful work completed during the TMS treatment sessions add tremendously to the whole experience for me. I visited with another TMS doctor before deciding to come here for my treatment. I felt very good about coming to this clinic, as the whole staff is kind and welcoming and professional. From the moment I walked in the door to the moment I left each day, I felt cared for, treated with respect, encouraged and made to feel hopeful. This team of people wanted to help me and was as committed to helping me beat depression as I was!! At first I was a little apprehensive because I thought somehow that it might hurt, but It doesn’t hurt, it sounds scary but it’s not! At one point during the treatment session, I questioned my hopes, but I stayed the course, and we beat depression!! It’s amazing how much of a dramatic change I have experienced! TMS really helped me! I had been depressed for the last five years, and now that I have completed TMS at DFWTMS.com, I finally have control of my life again! I learned how to handle and manage my depression, how to be more aware of being mindful in those times when I needed to be fully present and I learned breathing exercises to help me with my anxiety. If you have been struggling for a long time, this is a great new option, rather that continuing to take medications that may not be working for you. l would recommend TMS to anyone who really wants to be depression free! TMS works! Plus Suzanne is the bestest! After years of trying different antidepressants with and dealing with numerous side effects I learned about TMS. I searched the internet to learn more but didn’t find enough information to make a confident decision. I did, however, find Dr. Costello’s site and decided it was worth looking into. After visiting with Suzanne, at Dr. Costello’s clinic I learned more of the science behind TMS and how their program worked. I was very impressed by their professionalism and knowledge. I decided to take a leap and try TMS. I am so glad I did. The TMS itself helped make it possible to go off my antidepressants. What makes this program stand out is the program that goes along with the TMS. While being treated your time is well spent going through a patient education program that includes going through a book and is supplemented by various other sources on depression and anxiety. I received far more insight than I ever have with any therapist or book. 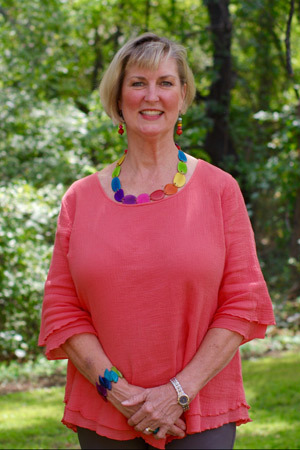 Suzanne and Dr. Costello are both genuine people that are very knowledgeable people that care about their patients. I came here seeking psychiatric assistance and learned about an alternative treatment in addition to seeing the Doctor for counseling and medication. I learned TMS was a viable alternative treatment for depression. I researched on the web and was intrigued by the science behind the treatment. I learned how my brain was truly impacted by depression and what could be done to help me. I immediately scheduled an appointment to learn more about how the treatment works and the commitment required for the treatment to be successful. I decided this was an avenue I needed to pursue and I am very glad that I did. Not only did I learn a great deal about cognitive behavioral therapy, I was also exposed to TED talks that helped open my eyes to how others like myself also struggle with depression. Lastly, the Front Office Staff was wonderful and TMS Technician ultimately made my TMS experience unforgettable. I would recommend any one who is dealing with. depression to research and schedule an appointment to learn more about how TMS can help you too! After months and months of going to group therapy every day and not feeling like I was progressing, shortly after coming here for just 30 minutes a day, friends and family started noticing the change in me even before I did. About two weeks into the treatment sessions, I legit woke up happy for the first time in years! I feel like I will never be stuck in the hole I was once in, because of the skill sets I learned here along with the TMS treatment itself! I struggled with addiction and depression for years. After becoming sober, and still dealing with depression, I used many pharmaceutical prescriptions designed to help overcome my anxiety and depression. Unfortunately, the medications failed for me and I was not willing to endure side effects of new medications as they came on the marketplace. I was exposed to concept of TMS by my mental health provider which excited me a great deal because there were no drugs involved in this therapy, and additionally there were minimum/to near no side effects through this revolutionary therapy. I proceeded through the TMS treatments and was amazed with the results and the simplicity of the therapy. During the TMS treatment I was exposed to the CBT materials and therapeutic techniques that have helped me sustain my complete depression remission. I have been thrilled with the results and I look forward to many years without the aid of pharmaceutical therapy. I now live happy, joyous and free!!! After going through TMS at DFWTMStherapy.com, I have felt better and had a more positive outlook and general living experience, than I have had in years. After living with depression for years and years, it just becomes part of everyday life. But after the first three weeks of TMS I realized I was haP.PY, not just sometimes, but most of the time. Because it was such a subtle climb from where I was, I didn’t recognize it. When I did I was overjoyed! And it made me want to continue and work harder, because I knew this can be a lasting treatment, if I put forth the effort. I am particularly thrilled that it requires no medication, it works directly on my brain, and I don’t have to worry about side effects. I also enjoyed learning how to retrain the way I think. The materials that we.re provided for me to listen to during each session were uplifting and hopeful, above all they were attainable goals I am capable of reaching. Recognizing the difference in the way I felt before TMS, and the way I feel now, gives me the encouragement to do my part to keep myself healthy. I highly recommend TMS therapy, and the best place to have it done is DFWTMStherapy.com simply because of the materials provided during each session. This is a life changing therapy! I was intrigued by the theory of magnetic stimulation as a means to cure depression, but because I had been exposed to such a large buffet of prior treatment modalities, I wasn’t one hundred percent convinced it would be successful for me. I think the success of the treatment for me, was not only that the technology is incredibly salient, but the therapy, of breathing exercise and listening to the recommended books while receiving the treatments, was extremely beneficial. My experience with DFW TMS was extremely rewarding for me. I kept an open mind and embraced what was ahead of me. Dr. Costello closely monitored treatment with weekly appointments. My daily TMS sessions were merged with a series of tapes and invaluable lessons. The daily TMS treatments and tapes were guided by his technician Suzanne. She played an invaluable role throughout the process. Her care, concern, sensitivity and professionalism added to my health outcome. I am grateful to DFW TMS, before TMS, my depression left me chronically tired, stressed and I had an overwhelming feeling of hopelessness. 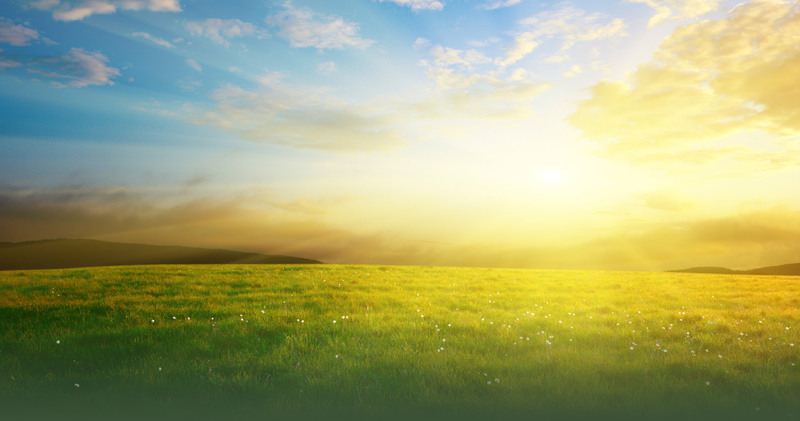 After completing TMS, I feel I have a better sense of learning to live in the moment and not to dwell on the past. Because of my experience, I now have a better relationship with my family. It has provided me with a more positive attitude and the opportunity for a fresh start! I had been prescribed a lot of different anti-depressant medications in the past, both those with popular names, those with not so popular names, and many generics. I had also tried several different types of therapies. The cycle seemed to be the same to me, it works a little, but then it doesn’t seem to work so well and so you sit in a cycle where you don’t feel good enough to continue, but knowing that stopping is worse. The promise of the being and remaining well made me want to keep trying, since the first week or so of a new treatment is good, but then it usually falls off. So, I was always up for something new. I like new stuff in psychology and psychiatric care, so TMS wasn’t completely unheard of for me as a style of treatment. Even though I had never heard of TMS specifically; my openness to try a new treatment, combined with a growing desire for help, pushed me to start TMS. The cycle I had learned didn’t continue with TMS. I started feeling better and never stopped. Instead of feeling better and sinking down again, I just continued to get better and better, breaking the expectation I had that it might work for a few weeks and then I would be back where I started. There was an eventual settling in, but still far better than when I started. This was a fresh perspective for me. Many times I would feel previous prescriptions or treatments simply lessen my symptoms instead of treating them, but with TMS I actually feel better! After maybe my 3rd treatment, I started noticing a change in myself. I started to smile, I woke up one morning with a smile on my face for no apparent reason at all. It was almost scary, but it was a good scary. Then by about the 6th treatment my coworkers started noticing a change in me at work, I started smiling at them and talking to them more, lol, weird, huh? Yes, it was, I wasn’t a mean person or antisocial, I just always went to work, did my job and came home. It worked for me. However, when I started to interact with my coworkers more, I felt like more of the group. People stated telling me that I looked different in the eyes or in my face, then I would go look in the mirror. I noticed it too one day, I looked different in the eyes, my eyes weren’t hazy anymore, and they didn’t have a lost look or a sad look in them. I felt alive, I felt present and in the moment! I felt for the first time in years that I was being and living for myself. The reality that I was really doing better set in, when my parents came to visit me for the holidays. They noticed a change in me and actually pointed it out. Knowing that I have been feeling down for years and how emotional that had been, they could actually see a change in how I interacted with them. That made me feel really good. TMS is a great procedure and tool. I appreciate Dr. Costello and his staff for taking the time to introduce me to TMS. During the process, there was listening to CDs and tools that also helped with building mindfulness and managing emotions, those were helpful along the way also. I plan to use those tools after the procedures are complete in my everyday life to continue being happy and successful in order to keep my depression under control and maintain a happy mindful presence. I had never heard of TMS before I came to DFW TMS, although it has been around for 8 years. I took the attitude that just because I hadn’t heard of it, didn’t mean it wasn’t good. I am really glad I did, because it changed my life! I had been taking medication for depression for about 15 years, and still had to deal with a lot of the fall-out from being depressed. Due to the TMS treatments, I am now in a state of remission from depression! During the treatments, it is important to do the work of learning to think differently. The powerful messages on the CD’s that were provided during the treatment session were instrumental in helping retrain my thought process. In addition to those CD’s, I listened to others on my own, which added to my transformational process. In my previous bouts with depression I had utilized both counseling and medication, which were helpful but the TMS treatments helped me with my depression in a way that nothing else has ever been able to do. I would highly recommend TMS to anyone who has dealt with long term depression. I have suffered from depression for many years. TMS therapy at DFW TMS gave me back my life. While I wouldn’t claim to be cured, I am absolutely functional, something I haven’t been for about 4 years. 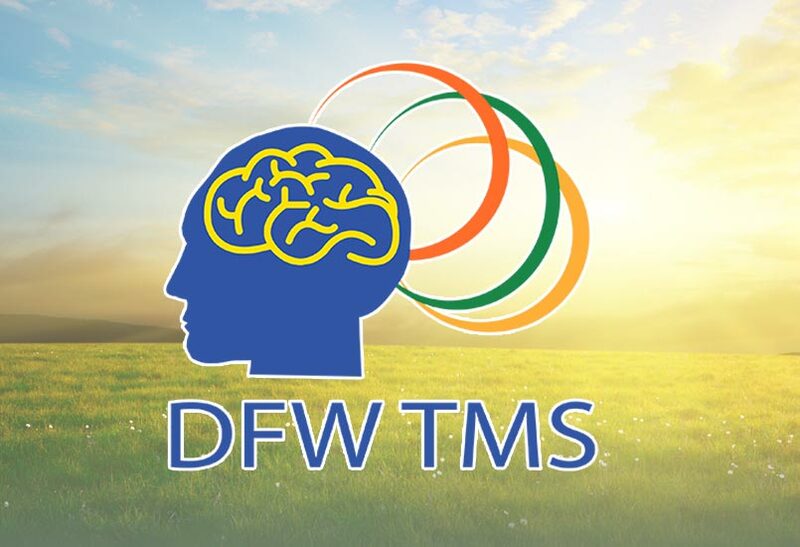 If you have tried meds and therapy without success, give DFW TMS a call and go through TMS. You won’t be sorry. I have suffered from PTSD with accompanying depression and anxiety for 6 years. I had a lot of hostility over the 6 years since the trauma of feeling damaged, angry at what happened to me through no fault of my own. I was unable to be my old self which was quite happy, extroverted, involved in life and successful at work. I had come to accept that fact that I will not be my old self, but a different self, and can have more perspective about the good in who I am now. I had had some success with medication during that time, but not 100% relief. Medications helped the depression but not the debilitating anxiety that I had had on a daily basis. Counseling and EMDR did not help me, and I felt like I was constantly re-living my trauma with each session. I was so frustrated and discontinued all therapy for my illness. I contacted Dr. Costello when I was at my lowest point. I was crying for hours every day and spent most days trying to start simple and complicated tasks in both my work and personal life but the anxiety would paralyze me and fuel the ongoing anger issues associated with my PTSD. It seemed like I could not get anything done. I was not actively participating in my life and was more of an observer letting it go by. I had to force myself to do activities with my kids and was not interested in usual activities that I enjoyed prior to my trauma such as reading a book or exercising. Flashbacks and rumination of my past was constant and contributed to the nightly insomnia I was experiencing. I was also not taking care of myself by attending doctor and dentist visits, nor did I care about my appearance and exercise. I was initially skeptical about the efficacy of TMS given the fact that I have a doctorate in the medical profession. I did not necessarily go seeking it for treatment and quite frankly I didn’t know what it was. I had fears of other types of treatment that I did not want to do such ECT. A therapy that I did try, EMDR, did not work for me. Once I knew that Dr. Costello offered TMS, I did a lot of reading about TMS benefits, safety and it is FDA approval. 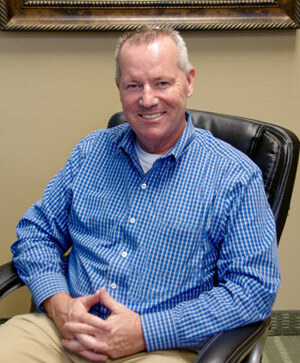 It was definitely an option for me and Dr. Costello was instrumental in assisting me with my decision to pursue it. Along with medication and mindfulness therapy, I responded almost immediately to TMS. My depression is improved beyond what it was with the medication alone and my anxiety has reduced significantly. My anxiety is much more situational that constant. I am much less angry and able to better cope in very stressful situations such as riding the train to New York City’s Penn Station and navigating my way to an address in a large city which I had never been to before. I approach problems in a different way…in small pieces…rather than in one big piece that would typically overwhelm me. I start and stop things much more easily and am able to concentrate for longer periods of time. I am doing things that I used to enjoy, such as reading a book or organizing the house. I sleep better, go to sleep easier and stay asleep longer. Additionally, I have reduced my use of destructive coping mechanisms to lessen depression and anxiety (oversleeping, over medication, over eating, crying, and alcohol use, calling family members many times in a day, rumination and anger outburst). Most of all, I used to consume my husband with my fear and problems constantly, I feel in some way he felt needed but couldn’t handle or understand what I have been going through. He has always known the “damaged and depressed” me and not the person I used to be. Now that I am much improved, he is getting to know different me. Sometimes he has more challenges with that since I am more engaged in activities, am more assertive, and express my opinions more than in the past!